Description: Top floor very well maintained 1 bdrm and den. Located on the quiet side of the complex and set back away from the road. Great open kitchen-dining-living rm floor plan with large balcony facing the nice quiet courtyard. Features include gas fireplace, in-suite laundry, big soaker tub, and a 46' flat mounted TV screen. A fully rain-screened building in the heart of Lynn Valley, complete with exercise facility. 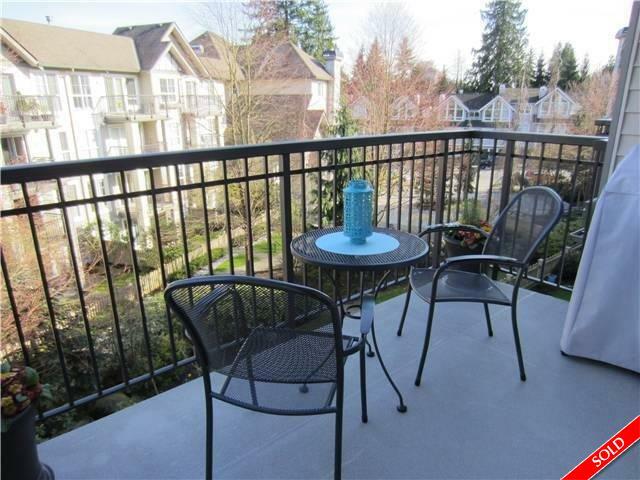 Walking distance to shops, restaurants, Mall, Library, trails and much more Lynn Valley has to offer. Pets welcome. Comes with 1 parking and storage locker. Truly a must see! Open house Saturday May 23rd, 2-3pm.